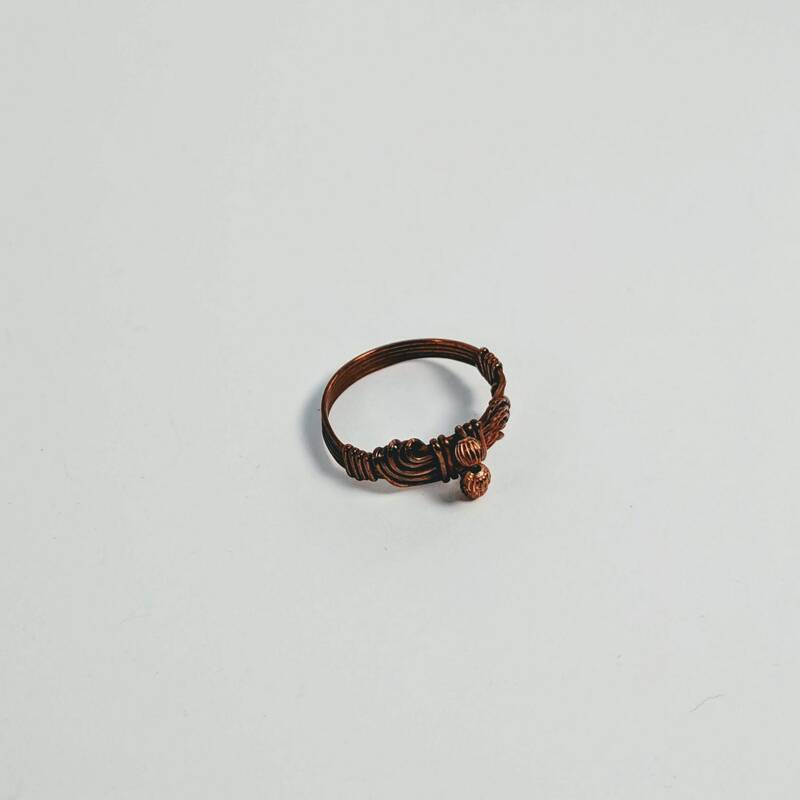 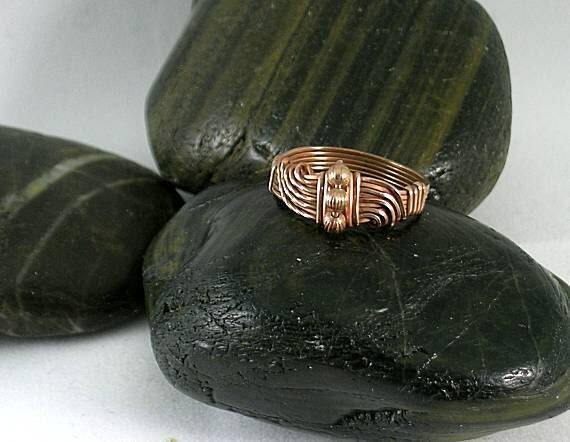 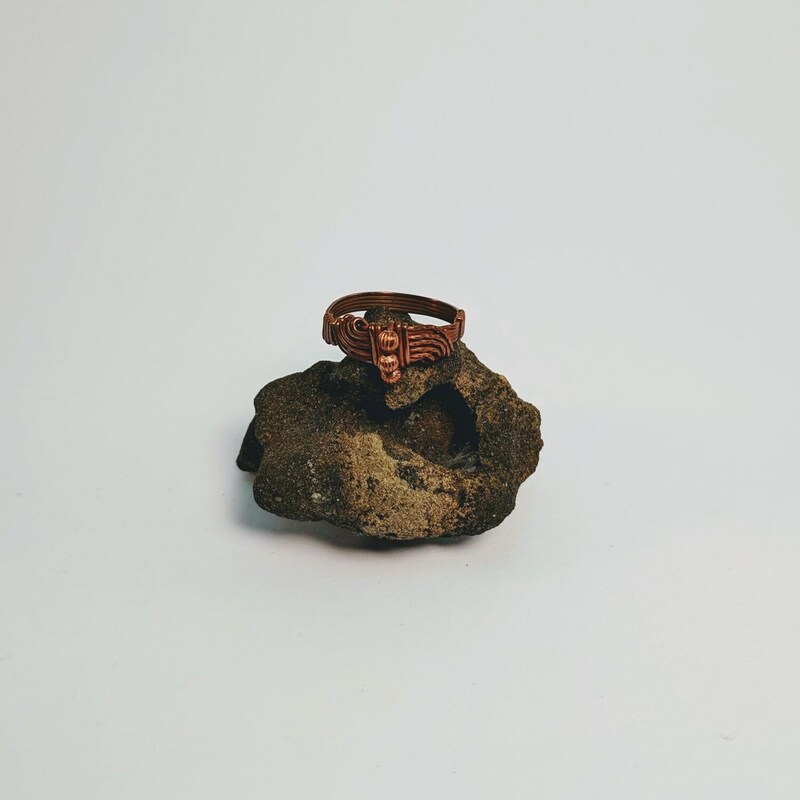 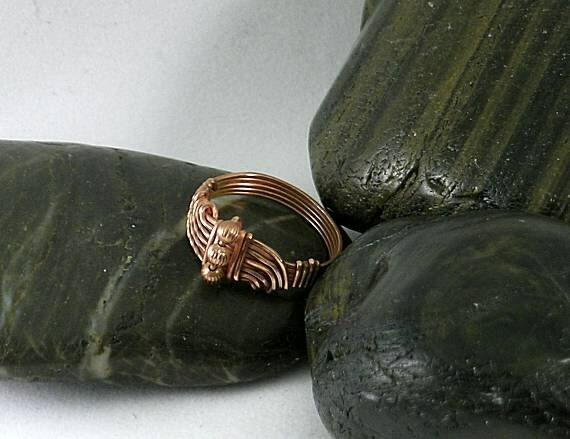 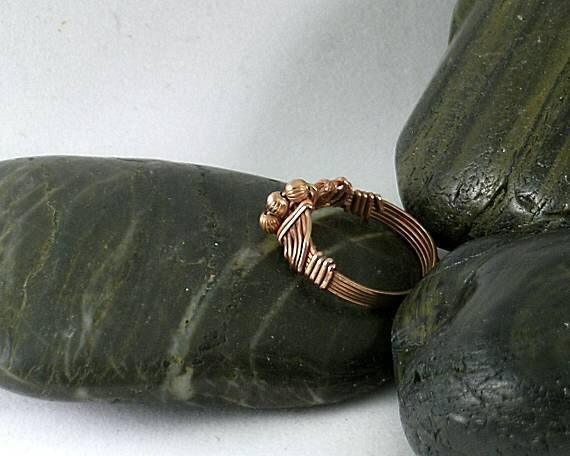 This ring is made of wire wrapped raw copper and is embellished with three 3mm beads and measures at its widest 9mm or 3/8". 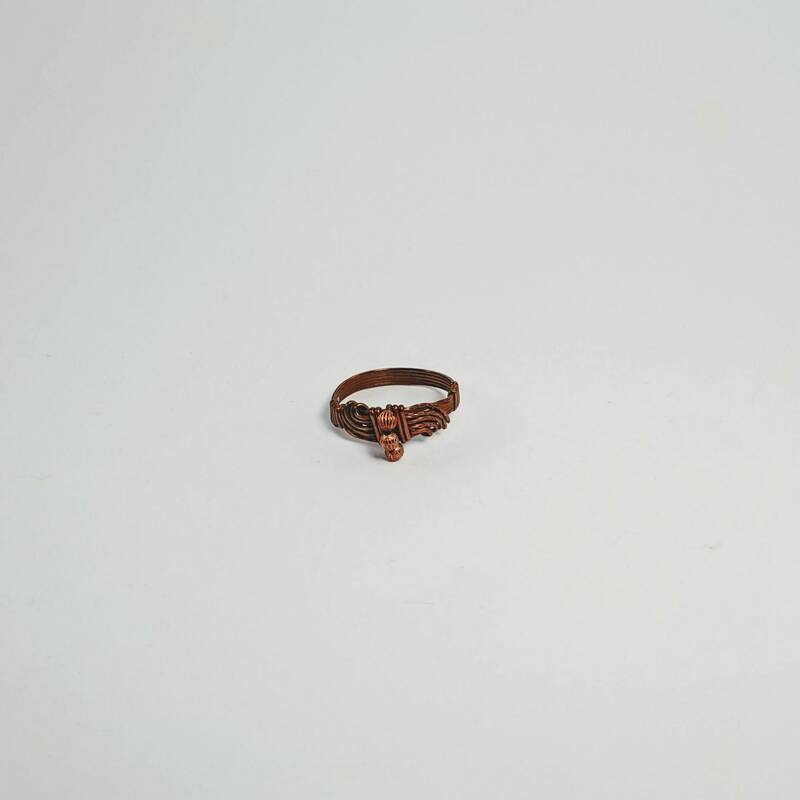 This listing is for a size 8 1/2. 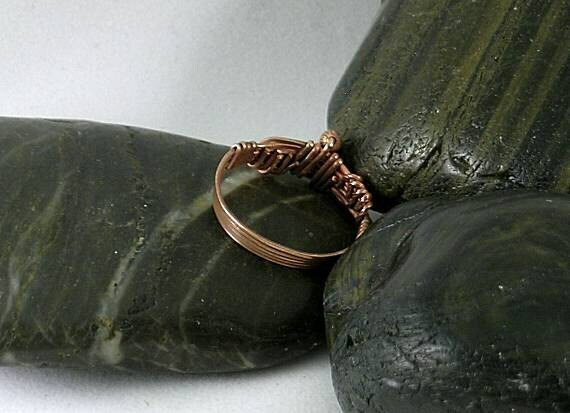 It can be custom ordered in other sizes and metals.